Amazon has unveiled its secret weapon which it plans to use in the battle to be the best music streaming service - Amazon Music Unlimited. Music Unlimited will run alongside the current Prime Music service but will offer tens of millions of songs rather than the current few million that Prime subscribers get for free. The key here though is that this service will be cheaper when using Alexa voice controls. For those using an Amazon Echo speaker with Alexa voice assistant as the only listening point, the charge for Music Unlimited will be just $4. Whereas using it on other devices will be a full-price $8 charge per month for Prime subscribers or $10 for everyone else. This is all part of Amazon's plan to show just how much easier and more natural voice controls are for music playback. While the desktop and app offering is slick with offline listening options, it's all about voice controls. The key here is that you don't have to request a specific artist, album or song as Alexa will learn your tastes. That means you can request a mood-specific playlist from a certain era or simply tell Alexa to “Play” and have a personalised playlist curated for you. Or say "Play music for a dinner party" for that theme, or "Play pick of the day", for a DJ introduced daily song. One of our favourite offerings is a Shazam style service that allows you to ask for a song by just singing a bit. You could say: “What's that song that goes 'I said maybe, you don't really wanna know…'”, and Alexa will find Oasis for you - just like asking a real DJ. Amazon also says it'll offer a notes experience, giving a background introduction to an album or song before playing - should you want that. So if you've got an Amazon Echo, or a Prime membership, this might be a far cheaper way to get your music fix which could just end up being better than our current primitive tap to play systems. Amazon Music Unlimited works on any Amazon Music compatible device, including the AmazonEcho, Echo Dot and Amazon Tap, Fire devices like AmazonFire TV and Fire tablets, iOS, Android, the web, PCs and Macs, Sonos, Bose, and more. 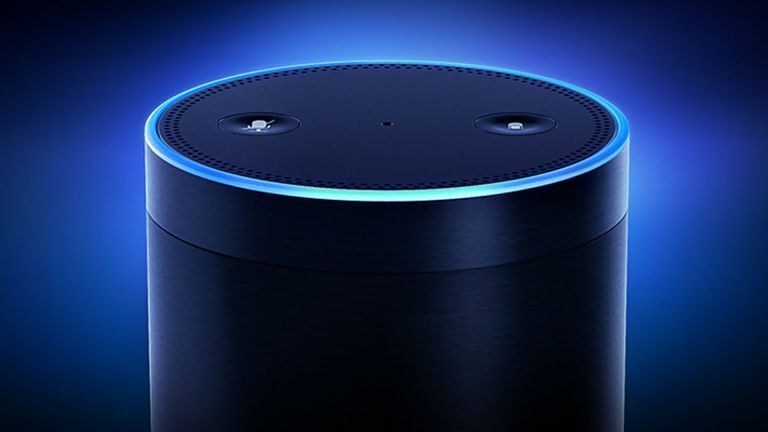 Amazon Echo users can start a free trial by simply asking Alexa to start their free Music Unlimited trial, of course. Although with only US pricing announced so far, the UK has not been mentioned - we've contacted Amazon to find out more.